In this box you will find 3 amazing images of English cottages, all in a beautiful area. Surrounded by lovely gardens, flowers and lots more. 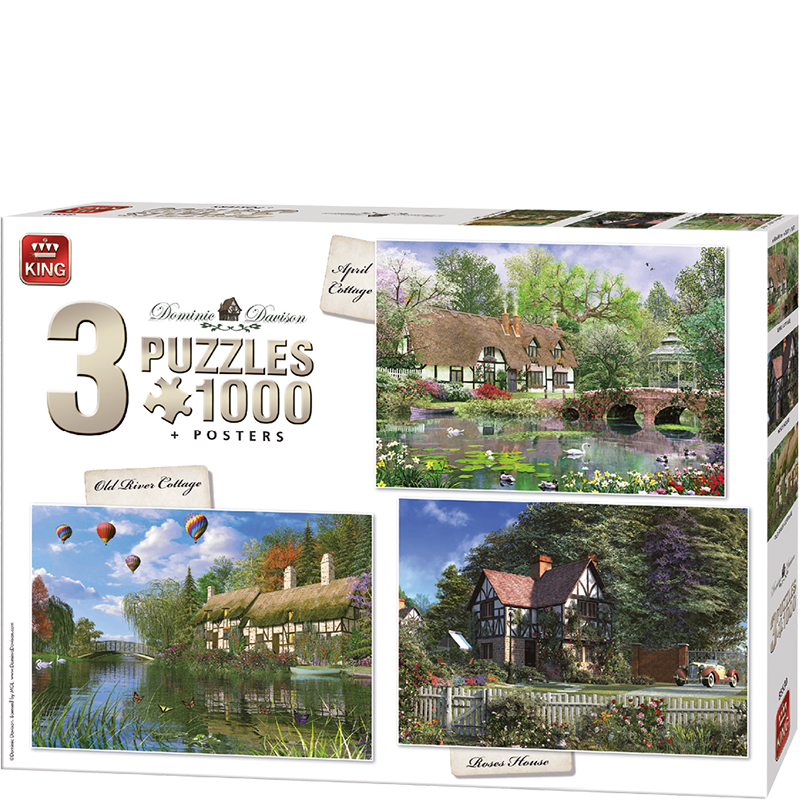 Every puzzle is 1000 pieces.